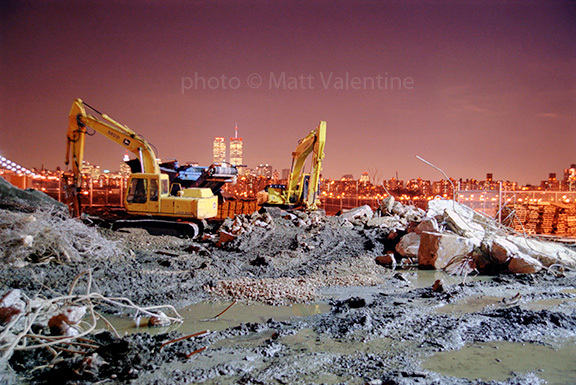 I was working at the Department of Photography and Imaging at NYU when the towers fell. To see them, we had to take turns leaning out the window of the photo studio on the 8th floor. My colleague Karl was leaning out the window when the second tower came down. “They’re gone,” he said, straightening. 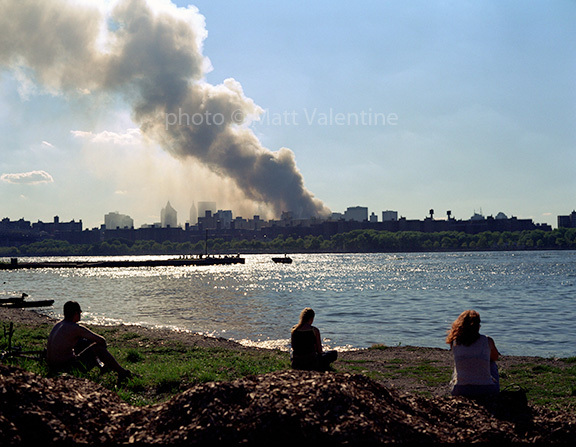 I remembered that I had taken this photo, in February of 2001, in which the World Trade Center was visible in the background. 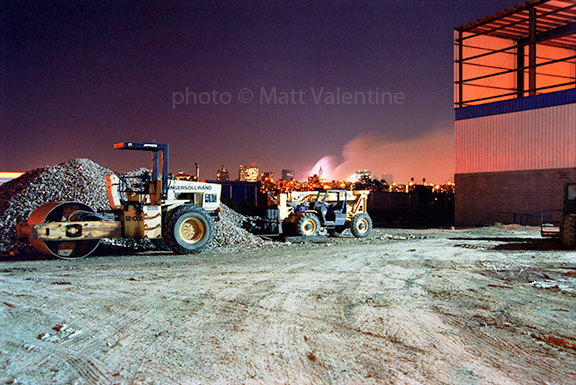 I returned to the same site and took this photograph in September of 2001. The smoke from Ground Zero is illuminated by rescue lights, and silhouettes the Woolworth's building. 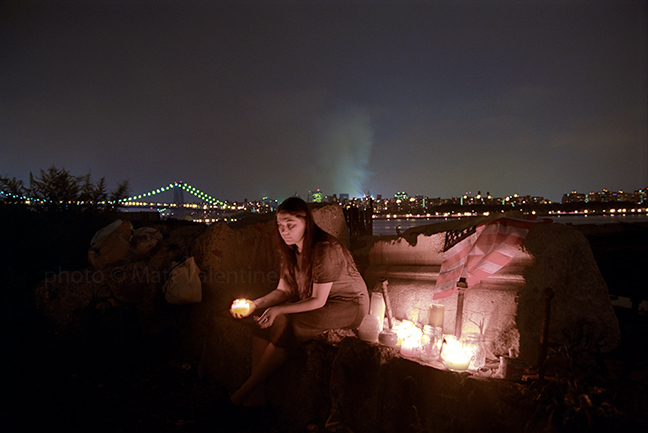 Weeks after the attacks, I walked with my neighbor Susan along the banks of the East River, and we found the still-burning candles at this impromptu shrine. Susan sat down among the candles and I took this photo, which was later included in the book Here is New York and the related exhibitions.